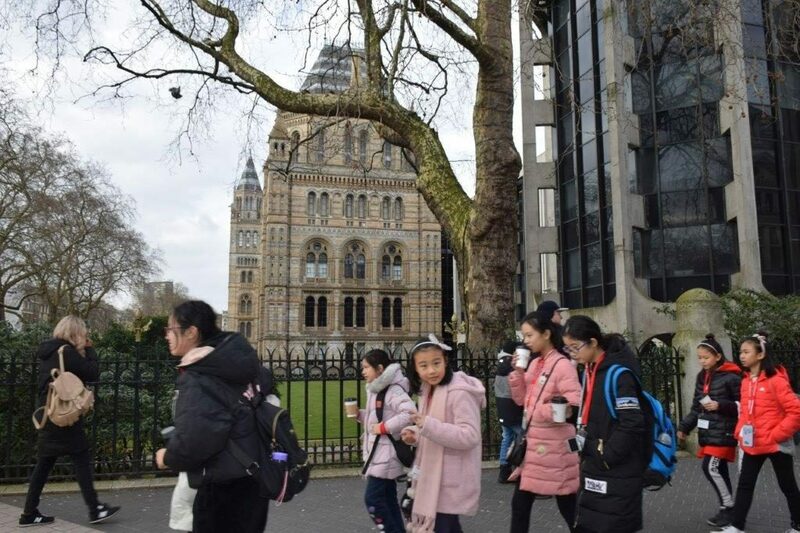 Yesterday our young learners from China went on an exciting trip to the Natural History Museum, discovering the history of life on Earth, from the smallest insects to the largest mammals. Our students enjoyed walking around this massive museum and exploring all the different zones: from the Blue Zone and its dinosaurs, walking beneath a 25.2 metre blue whale skeleton in the Green Zone, to the Red Zone where you can take a journey through the spectacular Earth sculpture and find out about the tremendous forces that shape our planet and to the Orange Zone where you can see scientists at work in the Darwin Centre. Visiting the Natural History Museum is definitely one of the “must-do” things on any student’s bucket list when they are in London. The Museum is open every day from 10.00 to 17.50 and it’s easy to reach by public transport -the nearest Tube station is South Kensington on the District, Piccadilly and Circle lines and it’s less than five minutes’ walk to the Museum. 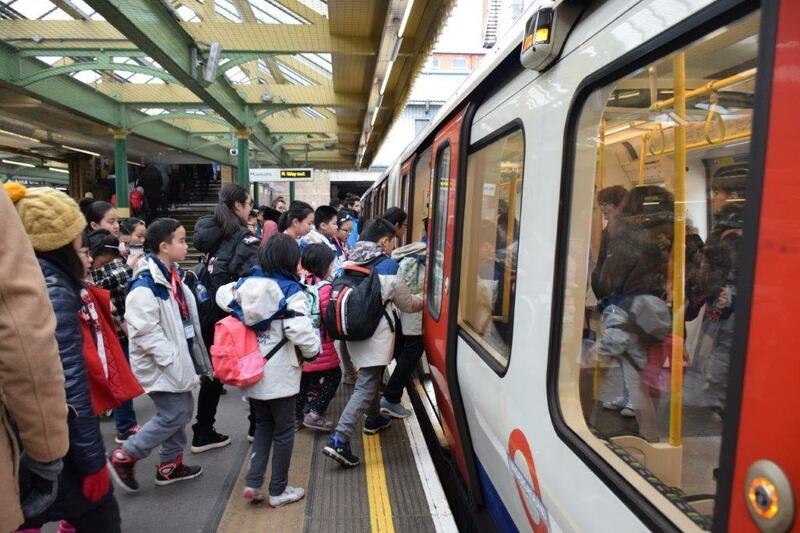 Our fun Mini Stay programmes for international school groups, usually include a visit to the Natural History Museum as well as most of the London’s famous attractions: Big Ben and Westminster Abbey, Changing of the Guard at Buckingham Palace, shopping on Oxford Street and much, much more. Follow our Facebook and Instagram pages to find out where our students are going to go next. To know more about our Mini Stays in London prices and availability, get in touch with us through our live chat or contact us via phone or email at info@finddigs.co.uk.